Posted on November 10, 2013 under Fiction. Over the Atlantic, an airliner’s controls suddenly stop reacting. In Japan, an oil tanker runs aground when its navigational system fails. In the Midwest, a nuclear power plant nearly becomes the next Chernobyl. At first, these computer failures seem unrelated. But Jeff Aiken, a former government analyst who saw the mistakes made before 9/11, fears that there may be a more serious attack coming. And he soon realizes that there isn’t much time if he hopes to stop an international disaster. 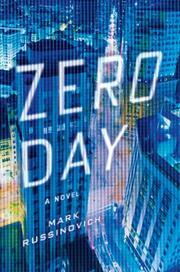 Zero Day presents a chilling “what if” scenario written in the vein of Richard A. Clarke and Daniel Suarez. This entry was tagged under: Techno-Thriller. Both comments and pings are currently closed.